We are located at 150 Sam Houston Jones Parkway in Moss Bluff. We have been at this location since about 1990. 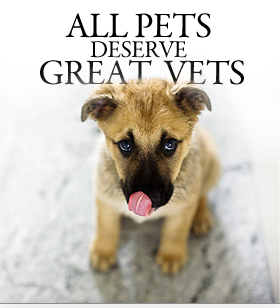 We have 3 exam rooms to see your pet in. We also have a huge lobby area for you to relax in while waiting for your appointment. Come stop by and see us today! For your convenience we have put our Employment application and our New client sheet on this site. If you have an appointment and you are a new client, you can fill out the New client sheet prior to coming into the office. Also, if you are looking for an employment opportunity, you can fill out an employment application. Both of these forms can be found under more info on the right hand side!